Photo Credit: James Gathany; image from Wikimedia. There are dozens of cities and towns across the country that have their red flags up for one key reason – West Nile Virus. When the virus is detected in mosquitoes, towns and cities have no choice but to launch into action in an attempt to dwindle local mosquito populations, but what is West Nile Virus? Furthermore, what can be done to prevent contracting the illness? 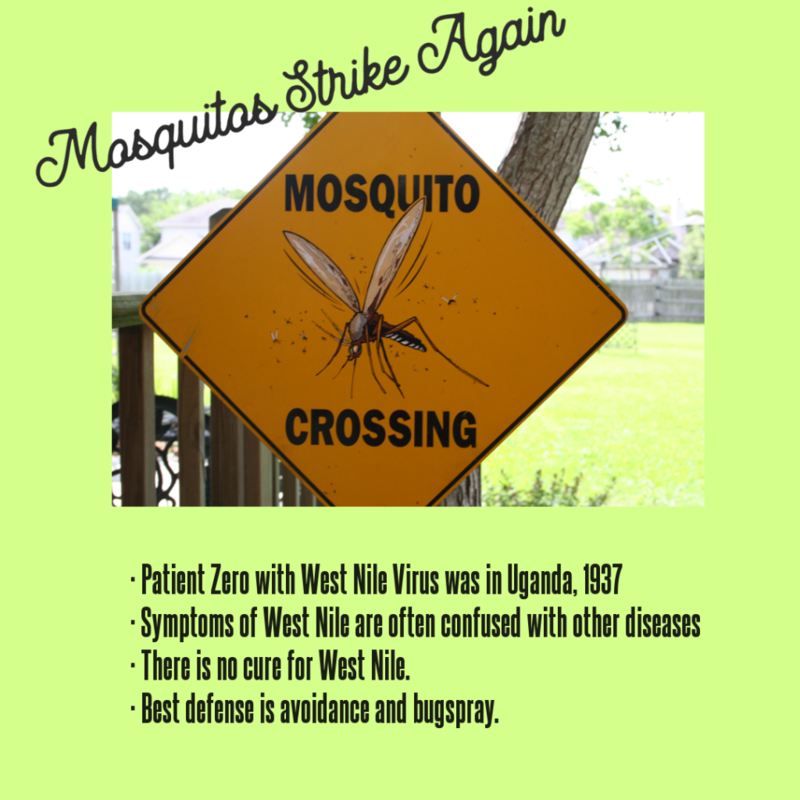 West Nile Virus was first isolated from a patient in the West Nile district of Northern Uganda in 1937, hence the name (Sejvar, 2003). 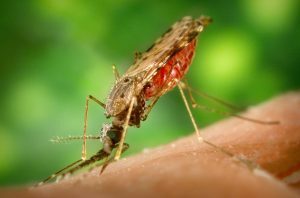 Although the symptoms that the patient presented were similar in nature to other viruses, doctors ultimately ruled that the strain was unique, and West Nile Virus was born. Large outbreaks of the disease in Egypt between 1951 and 1954 helped doctors get a better understanding of the condition. One of the first extended studies of the disease began in 1951 in the upper Nile Delta region. Despite its earlier detection, West Nile Virus did not show up in North America until 1999. A cluster of cases was discovered in New York City, and all but one patient developed severe acute flaccid paralysis in the setting of encephalitis. By 2002, the number of West Nile Virus cases in North America had become unprecedented. West Nile Virus is commonly transmitted via mosquitoes in humans. It can be difficult to diagnose because 8 out of 10 people diagnosed with the virus do not exhibit symptoms. If they do, the most common symptom is fever. Body aches, joint pain, headache, vomiting and diarrhea are also known symptoms of the condition (“Symptoms, Diagnosis, & Treatment,” 2018). There are no vaccines available for West Nile Virus. In the event that an individual is diagnosed with the ailment, pain relievers may be used to reduce fever and aching. In severe cases, patients often need to be hospitalized for supportive treatment. The easiest way to avoid West Nile Virus is to reduce your exposure to infected mosquitoes. Of course, there is no telling which insects carry the virus, so steering clear of them altogether is ideal for prevention. Wearing long sleeves and pants while outdoors for an extended period of time is essential. Avoiding going outdoors during dusk and dawn when mosquitoes are most active can also help. 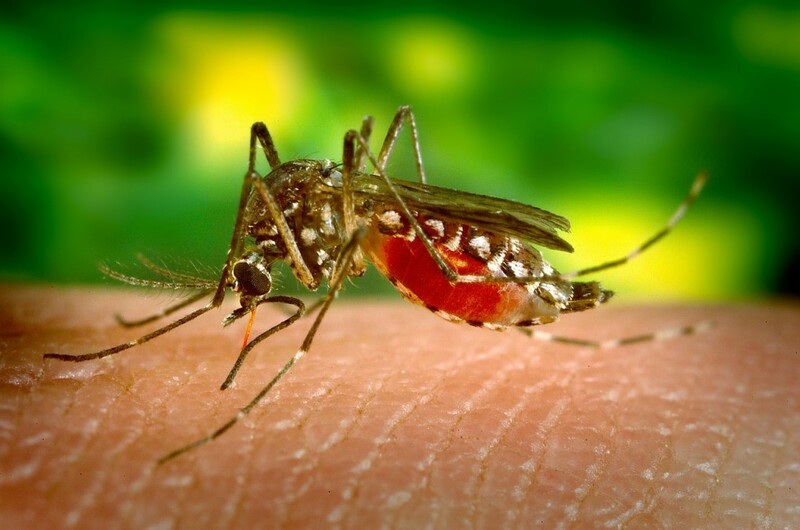 Insect repellent containing DEET can be effective as well (“How You Can Best Protect Yourself Against West Nile Virus,” 2018).